The DSPCA said it’s a serious problem but DoneDeals.ie claims removing ads for these sales would drive the marker underground. TWO WEBSITES HAVE defended themselves against criticisms about the sale of animals online, after the DSPCA called for them to cease all of these sales immediately. Yesterday the society’s Chief Executive Brian Gillen said the online trading of animals is a “serious problem” as many of these pets are not properly vaccinated or micro-chipped. “It is difficult to source the origin of cats, dogs and all other manner of animals,” he said. In a straw poll of DoneDeal.ie and BuyandSell.ie in one morning, the DSPCA said it found around 11,000 advertisements for animals and called on the two sites and all websites to stop allowing this. A spokesperson for DoneDeal said that its loves dogs and “we continually strive to improve the welfare of all dogs across Ireland”. In a statement, BuyandSell.ie said it had not been contacted by the DSPCA but supports the charity’s efforts to improve animal welfare. The website also said it maintains “firm guidelines for the advertising and sale of live animals. Similarly, DoneDeal said it monitors dog ads and helps the authorities with information to help them investigate breeders. However the DSPCA’s Gillian Bird refuted claims that removing these ads would force the trade underground, saying that if the public don’t have the option of buying online, they are more likely to go through shelters and adoption centres. Bird called on other animal welfare groups to join the campaign against selling animals online and urged the public not to buy pets in this way. 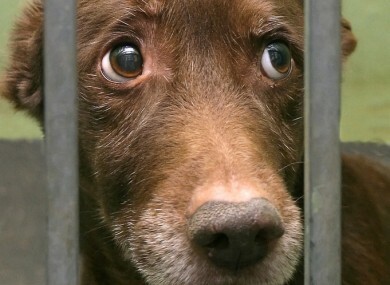 Email “Ceasing online animal sales would make it harder to find 'unscrupulous dealers'”. Feedback on “Ceasing online animal sales would make it harder to find 'unscrupulous dealers'”.